Burger scholar George Motz gives the rundown on nine essential bun-and-patty combos that would change the burger landscape forever. The hamburger has had quite a ride over the past 115 years. It’s history reads like a tragedy, complete with a cycle of success, failure, and redemption. The hamburger’s murky early days as a chopped meat sandwich made from suspect beef led to a period of immense success in the 1920’s, followed by decades of interpretation and expansion. 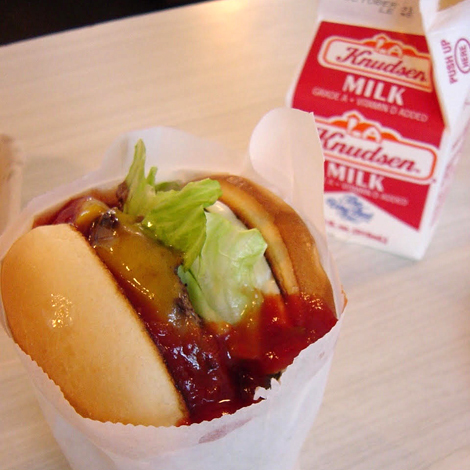 This period was followed by an unchecked fast-food explosion leading to the abuse of the hamburger’s image. A burger renaissance of sorts in the late 1990’s sought to distance itself from the frozen patty failures and the hamburger’s image was restored, again. To give credit where credit is due, I’ve attempted to identify the restaurants which have truly made an impact on the modern American hamburger. Of these nine burger spots four are major chains, and two of those chains have unfortunately veered from their former selves (and the impact they had on hamburger history is a thing of the past). 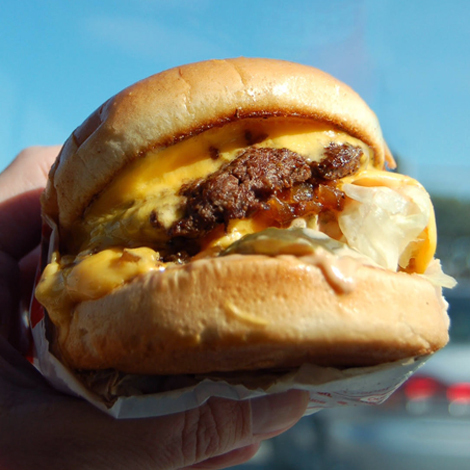 Other burgers could have been included—Hamburger Inn in El Reno, OK for the invention of the fried-onion burger, Solly’s Grille in Milwaukee which served the first Butter Burger, and Five Guys for reminding America that fresh beef tastes better. But this list specifically zeroes in on far-reaching—even global—impact. Here are nine burgers that would go on to transform the burger landscape as we know it. 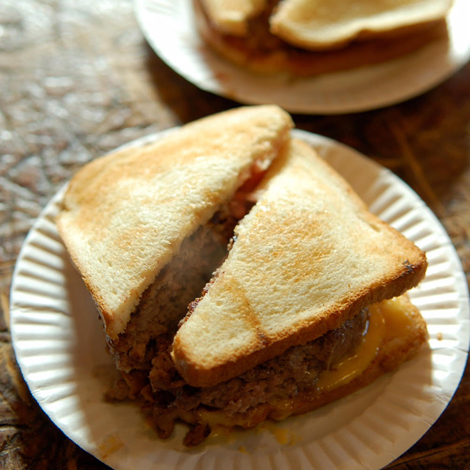 Why it’s influential: The influence of White Castle on the American hamburger is astounding. Put it this way—had it not been for White Castle, you probably would never have enjoyed a burger in your lifetime. 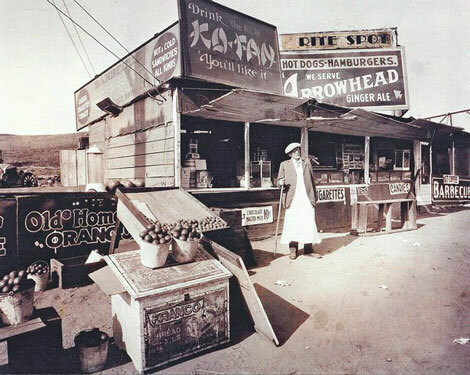 In 1920, the tiny burger stand from Wichita, KS salvaged the burger’s reputation by restoring its image with gleaming white restaurants and young, sharply-dressed, smiling, short-order cooks. But if that were not enough, it was White Castle that standardized the hamburger bun, and some say in effect technically invented the hamburger itself. Places like Power’s in Fort Wayne, IN, Motz’s in Detroit, MI, and White Rose in Linden, NJ still crank out the same fresh-beef 1.5 ounce sliders that made White Castle famous. 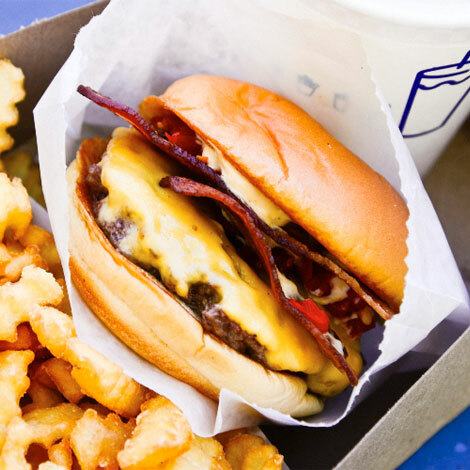 These places hold the DNA of the original White Castle slider. If only the mothership could return to its roots. Why it’s influential: There’s no getting around this one, and they know it. The golden arches are unquestionably responsible for the continued international expansion and awareness of the great American hamburger. Unfortunately they use frozen patties, so I avoid talking about the burgers that they serve today; but in the beginning it was a very different story. The McDonald brothers decided one day that the carhops at their tiny Southern California drive-in were bad for business. By removing the inefficient humans from the equation and making people come into the building to order, they could sell far more burgers. They devised a hamburger assembly line where burgers were always ready. That model alone altered just about every aspect of the fast-food kitchen. I’ll give them that. Why it’s influential: When celebrated French chef Daniel Boulud put his extravagant DB Burger on the menu in 2001 at DB Bistro Moderne, my guess is that he was semi-unaware of the controversy he would stir up, or of the readjustment to the burger business he would unleash. This absurd, yet tasty burger—stuffed with braised short rib and decadent foie gras—was served on a bun flecked with black truffle parmesan and held an outrageous $27 price tag at that time (today the burger is $35). Following his bold lead, every semi-fancy pants joint across America was taking stabs at a ‘gourmet’ burger, and a renaissance was born. Look out for George Motz’s soon-to-be-released cookbook, The Great American Burger Book. 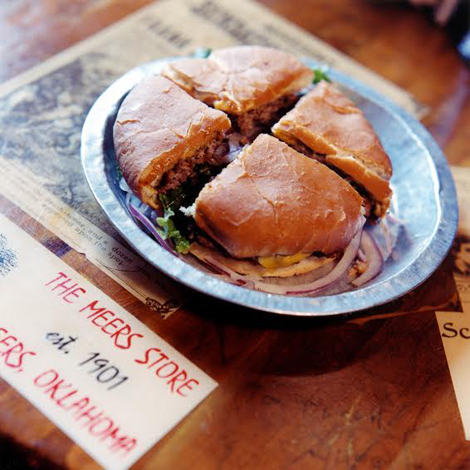 It focuses on regional hamburger styles and cooking methods.